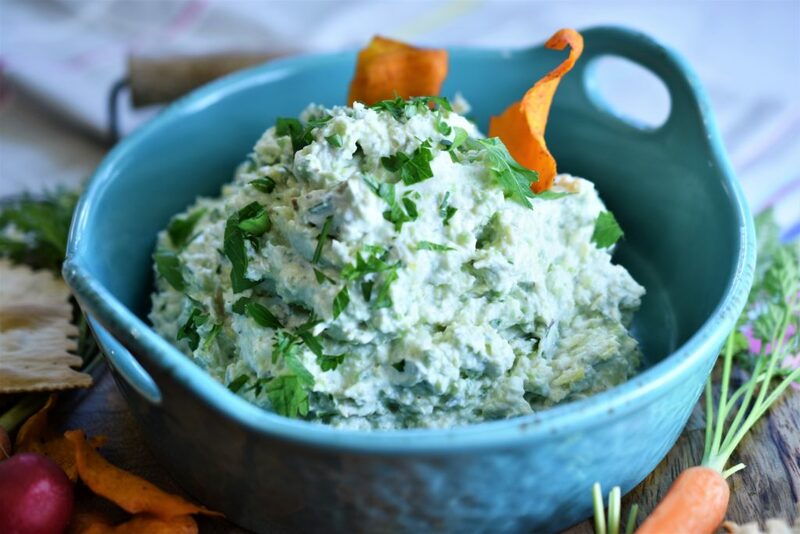 Artichoke, Leek & Fava Bean Dip with Goat Cheese | Recipe For A Party | Life is a Party, So Celebrate! 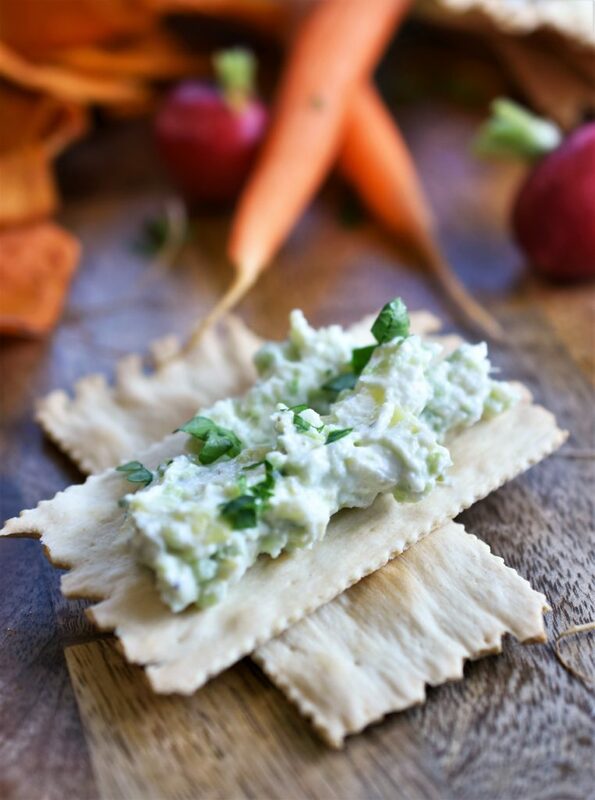 Celebrate spring with my newest recipe for this delicious chilled artichoke, leek & fava bean dip with Goat cheese. 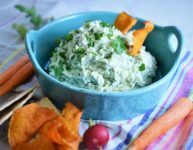 Not all dips that have cheese need to be baked, so this cool dip will be a refreshing change at your next soiree to dip veggies, crackers or chips into while you sip on iced tea or a glass of rose. I love the buttery & nutty flavor of fava beans and they go so well with artichokes. 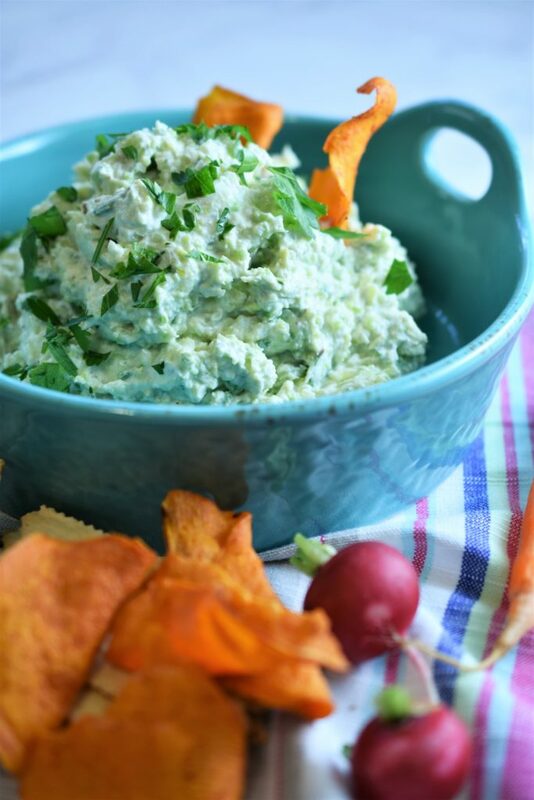 A client mentioned to me recently that they are a labor of love but don’t let that keep you away from making this recipe because it is so worth the time…sit in the garden or in front of the TV while removing these little gems from their pods. Even though fava beans are in season from March through mid-May, call your grocery store first before making the trip there to see if they have them, I had spent half my day going to three stores and calling four more to see if they had them, luckily a small produce market ordered them for me and I had them the next day. The recipe calls for two pounds of fava beans, don’t think that this is too much because once you remove them from the pods, blanch them and remove the shells, you will have approximately 1 ½ cup of beans. 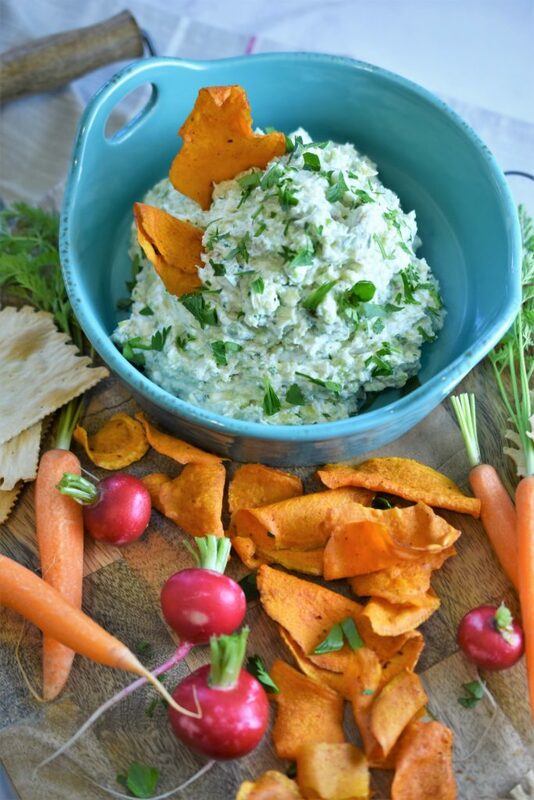 This dip could also be used as a sandwich spread and is perfect for tea sandwiches at the next shower that you host. creamy & delicate with tangy flavors of yogurt, goat cheese with a nice buttery finish from the fava beans, YUM! Open the fava bean pods and remove the beans, this took 10 minutes, and boil them in salty water for 3 minutes, strain them and put them into ice water to stop the cooking. With your fingers and some help with a paring knife cutting a slit into the shell, pinch the bean and it should slip out of the outer skin, revealing the inner bright green fava, this took 20 minutes. Put the beans in a food processor and pulse a few times for a pureed but chunky consistency, set aside. Stir in the fava bean puree and the artichoke & leek mixture. Cover and cool in the refrigerator for two hours or overnight. 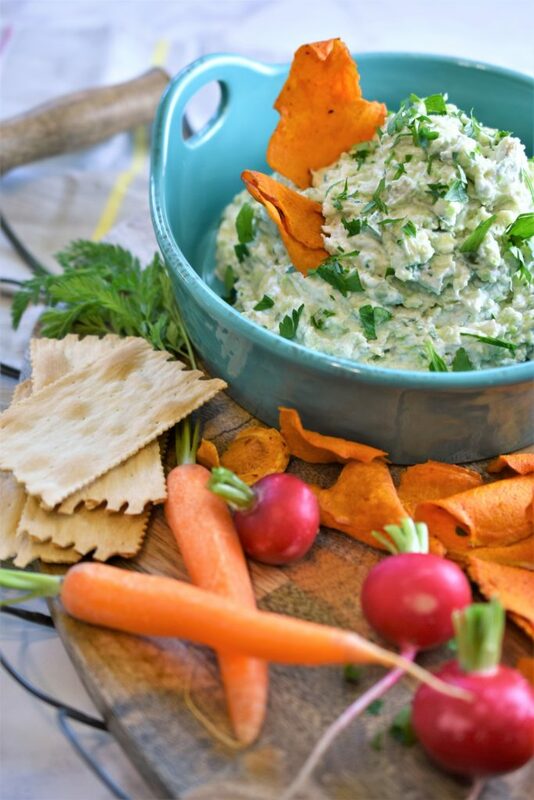 Serve with crackers, vegetable chips or vegetables for a delicious spring dip. Makes 4 ½ cups, enough for a dozen or so party guests.